If you find yourself feeling stressed out much of the time, you should seriously consider making changes in your life. Research conducted over the past 35 years has demonstrated that acute and chronic stress may be as detrimental to the health of your heart as high blood pressure and high cholesterol. Learning to reduce stress in your life when you can and to manage stress effectively when it does occur could help you live longer. What do the case studies tell us about acute stress? Case studies have revealed a number of significant findings. Early studies describe cardiac arrest or sudden death in response to acute stress, such as grief or fear. Sudden emotional stress, such as learning of the death of a close relative, can precipitate severe but reversible left ventricular dysfunction even in the hearts of people without existing cardiac disease. One study showed proarrhythmia (provoked undesirable heart rhythm) changes in the EKGs of healthy house officers exposed to the sudden stress of an on-call alarm. Another interesting study revealed an increase in ventricular arrhythmia among New York City residents with implanted cardioverter defibrillators (ICDs) in the weeks immediately following 9/11. This population of patients experienced a higher rate of ICD shocks to restore normal heart rhythm after the terrorist attacks significantly increased the level of stress in their lives. In patients diagnosed with coronary artery disease (CAD), acute stress can be a potent trigger of myocardial ischemia, which occurs when the heart is receiving an inadequate supply of blood and oxygen. What about the affects of chronic (long-term) stress? 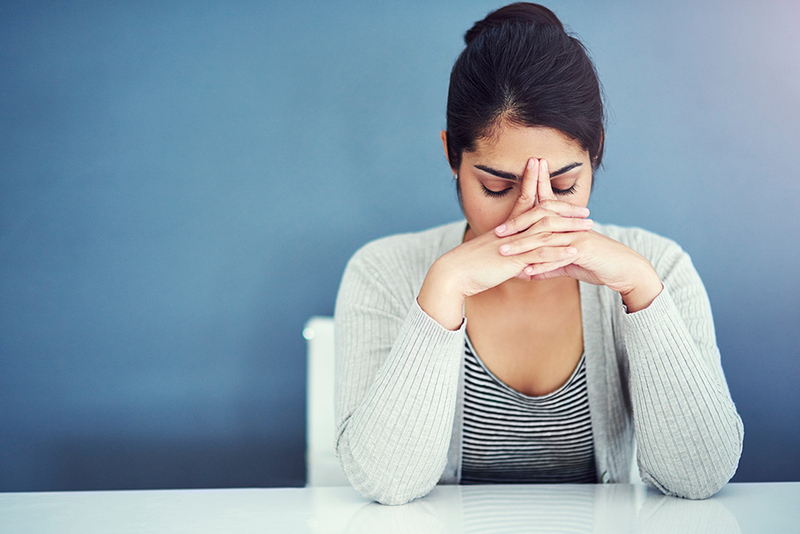 People react internally to the environmental triggers associated with long-term situations, such as an unhappy or abusive marriage or unresolved job stress. Our responses to these stressful triggers affect our emotions, behavior, ability to perceive and understand, and our psychological wellbeing. The result can be anger and hostility, depression and anxiety, or the lack of a network of social support, all of which are all associated with an increased risk for heart disease. Are there specific, proven links between our emotions in reaction to stress and the development of coronary disease? Yes, there are a number of direct pathophysiologic mechanisms by which our emotions may affect the heart. Dysfunction of the autonomic nervous system in general, and of the hypothalamus, pituitary, and adrenal glands specifically, link emotion and coronary artery disease. While there are too many to mention in a brief article, some of the affects include: An increase in adrenalin that raises the heart rate and blood pressure and constricts the arteries, which can hinder heart muscle function; impairment of blood platelet functioning, which causes blood to clot more quickly and can lead to heart attack; and impaired functioning of the vagus nerve, which helps to control heart rate. What steps can I take to manage stress more effectively? There are a number of strategies that can help you manage stress. Learning relaxation techniques, doing breathing exercises, and practicing yoga can be very helpful in stress reduction, in part because they lower heart rate and blood pressure. If you lack a network of social support in your life, it may be helpful to join a support group. Regular exercise provides all kinds of healthful benefits, one being stress reduction. Lifestyle change can be difficult and you may want some help in making changes in your life. The Center for Healthy Living at Island Health Center teaches stress management. Or you might find couples counseling, anger management training, or psychotherapy helpful. The prevailing attitude about stress has been that it is an unpleasant fact of life. However, now we know that it can also be injurious not only to our happiness but to our health. If you feel stressed out much of the time, talk to your doctor about how to initiate healthful changes in your life. It could help you prevent or postpone the onset of heart disease. Dr. Maghaydah is a board-certified cardiologist and a fellow of the American College of Cardiology on the medical staff of Cayuga Medical Center. He is in practice with Dr. Jonathan Mauser at Cayuga Cardiology, where he can be reached at (607) 269-0100.